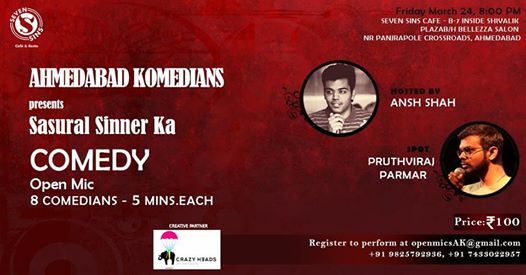 In association with Ahmedabad Komedians, SevenSins is bringing to you “Sasural Sinner Ka”, an open mic stand-up comedy night. To perform, register at openmicsAK@gmail.com, and bring the ‘hilarious you’ to the devil’s playground! Because at the SevenSins, everything is fun!